Posted January 23, 2019 & filed under Blog, Executive Coaching. Brexit is a word engrained in the UK psyche, the term VUCA may be less familiar but it has entered the mainstream of business language. A mnemonic originally coined by a US military leader to describe the nature of change in modern warfare: Volatile, Uncertain, Complex and Ambiguous has found resonance in non-military settings. As a nation, we are seeing the Brexit negotiations and the machinations of parliamentary process model VUCA on a daily basis. Those uncertainties fuel endless speculation and heated conversations, but what does VUCA mean when the lens moves from the macro level of what is happening in Westminster and Brussels to what it could mean to individual lives in a year’s time? Suddenly the sense of being an observer of events shifts to potentially becoming a victim of them. Similarly, VUCA in a business context means dealing with the external challenges of markets, new entrants who are disrupting the market, the impact of technology, changes in how customers are wanting to shop or bank, but take VUCA down to the level of the individual and its meaning becomes sharper. VUCA then becomes personal and the need for resilience increases. It becomes critical to manage yourself through disruption in ways which will help you move forward and adapt. This focus on working through VUCA is central to a new book by Kathryn Jackson, based on the learning she gained by living through the major earthquake that destroyed much of Christchurch NZ in 2011. Kathryn was both a victim, in that her home and workplace were destroyed, but also a player in the city’s recovery: through her role in coaching those who were recruited to rebuild the city’s infrastructure in record time. 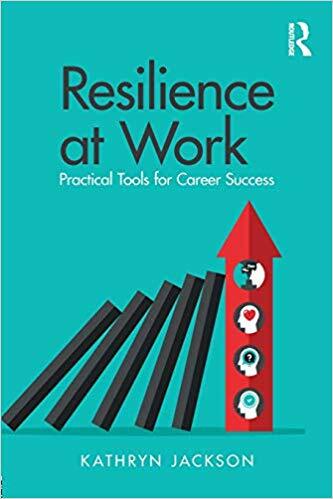 It is the learning from that project which she offers in her book: Resilience at Work. Central to the book is the model which was developed by SCRIT (Stronger Christchurch Infrastructure Rebuild Team): a team of academic researchers and professional brought together to support those doing the work. It was critical that those highly talented professionals were not undermined by the demands of an enormous project when many were living thousands of miles from their home country. They recognised that turbulence at work, things happening with no obvious cause, an overwhelm of information, lack of precedent and complicated circumstances could fuel strong emotional responses, doubt and hesitation, frustration, unpredictable behaviour and resistance to taking risks, and of course endless speculation. Recognise any of these in your own organisation? Noticing and acknowledging the negative emotional impact of events on you, so that there is a possibility of managing them vs denying the impact of what is happening, or accepting it as inevitable. Seeing looking after yourself as a valuable resource as critical to dealing with difficulty vs seeing it as a ‘nice to have’ when there is time. Building strong connections with people who you want to help and who will help you vs seeing yourself as isolated in dealing with the challenges of your work. Looking at what you can learn both formally and informally that will be helpful in dealing with the current situation vs rather than denying the need to adapt. The model developed for the need for rapid response in the face of a natural disaster is equally relevant for individuals in less dramatic situations. In responding to VUCA, ask yourself do I? Notice when I am getting negative and dispirited in my work and see it as a signal to do something to change my emotional response. (Emotional Honesty) YES/NO. Recognise when the pressures at work are changing how I am both myself and with others. (Self-Care) Yes/No. Actively seek out people to talk with when things at work are challenging because I know it helps me handle pressures more easily. (Connection) Yes/NO. Review my career when circumstances change at work to identify how I need to develop in order to remain of value. (Learning) Yes/No. If you have answered No to any of those prompts then it is a signal that you need to consider how you can address your need to increase that pillar of resilience in order to stay resourced in a VUCA world. Reference: Kathryn Jackson, Resilience at Work (Routledge). Carole has been an executive and career coach for over 20 years. She specialises in emotional resilience. 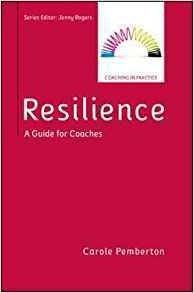 She has a Doctorate in Resilience Coaching and her latest book ‘Resilience‘ was nominated as coaching book of the year.